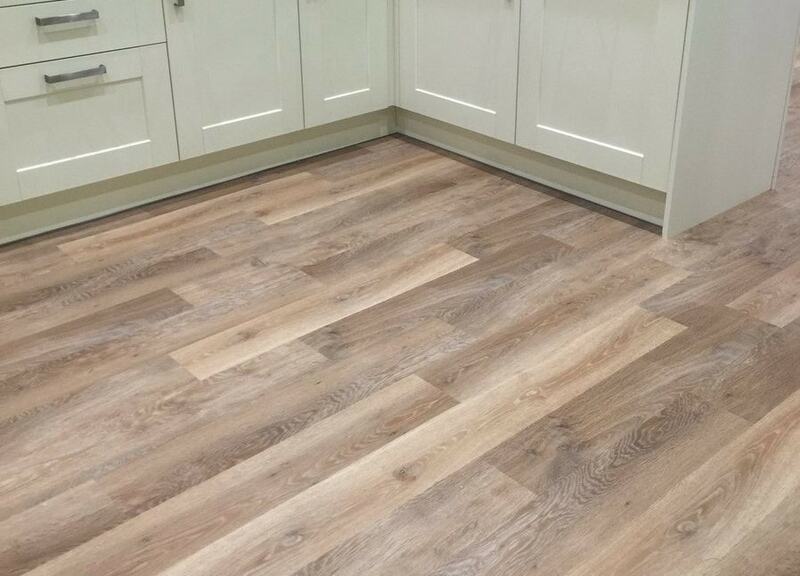 Showing: Karndean Van Gogh Classic Oak with a decorative border, ideal for a busy family kitchen. For children, Karndean floors offer a safe, comfortable surface to sit, crawl and play on – whether little knees are bare or covered. The flooring is warm and quiet underfoot too, making every day living and playing even more comfortable, regardless their age. With its commercial grade slip rating, Karndean floors help avoid trip points and slippery surfaces, reducing those slip and trip accidents in the home. 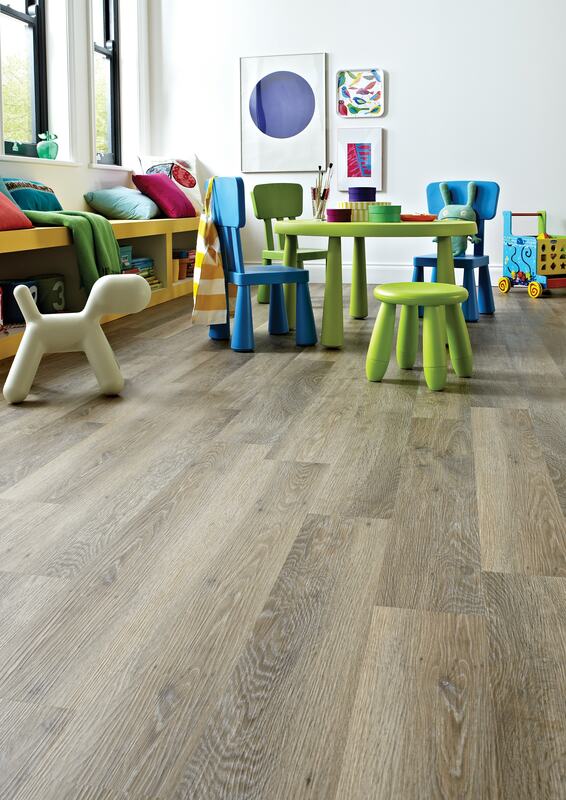 Showing: Karndean Knight Tile Lime Washed Oak - the perfect safe surface for a child to play on. Meanwhile for grown-ups, keeping Karndean floors dirt-free, even with busy lifestyles, is a doddle thanks to the easy-to-clean surface. Any spills, mess or dirt from the little ones can be easily dealt with and you can rest assured there’ll be no damage to your floor either. Karndean floors will not splinter or crack and continue performing no matter what life throws at them, which is why all Karndean floors come with a lifetime residential warranty. And unlike other flooring surfaces, Karndean’s LVT flooring doesn’t conceal grime, dirt or dust mites, making it cleaner and more hygienic and an overall heathier environment for all the family. 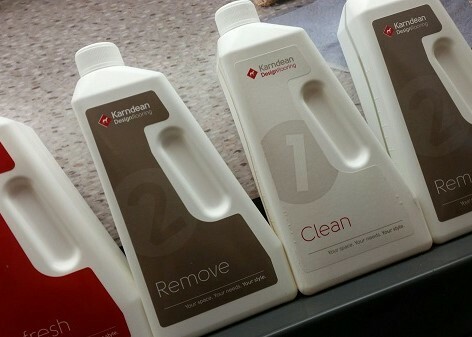 Showing: For the perfect Karndean floor for years to come, Karndean cleaning and maintenance products can be purchased from any of our showrooms. Karndean’s many features makes it an ideal choice of flooring for those with furry friends. 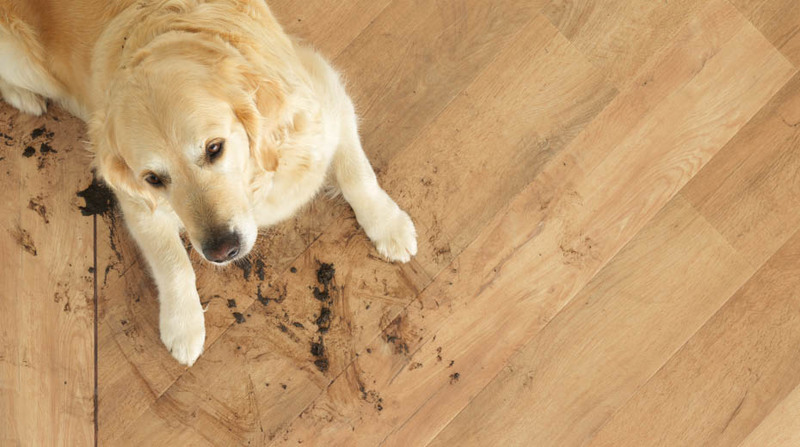 The special K-Guard+ surface protection system that comes as standard across all the Karndean flooring ranges works as a barrier against scuffs, stains and fine scratches - the kind of marks we might come to expect from our pets, espcecially when they get excited. This specialist protection layer brings a commercial-grade durability into family homes without sacrificing on the floor’s appearance. 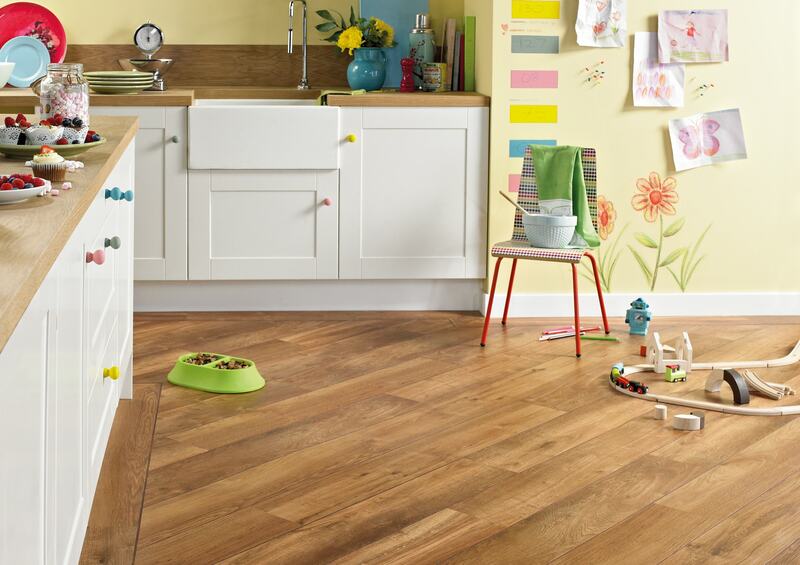 Showing: Karndean LVT flooring is pet-friendly and easy to clean. With Karndean LVT flooring being softer and quieter underfoot than natural wood and stone flooring products, it helps to absorb and reduce the sound of the pet nails as they pitter-patter across the floor. And while your pets may be high maintenance from time to time, Karndean floors are quite the opposite. They are designed for a long, low-maintenance life and even if pet hairs and muddy paw prints dirty them from time to time, a regular clean with a PH neutral cleaner will help keep your floor at its best. Whether a busy family home with pets, children or neither of the two, Karndean’s floors are waterproof and able to withstand spills of all sizes. The product has an impervious vinyl backing and when combined with a waterproof adhesive on installation, every step is taken to ensure no moisture gets through the floor. Showing: Spillages are not a problem for Karndean LVT flooring. 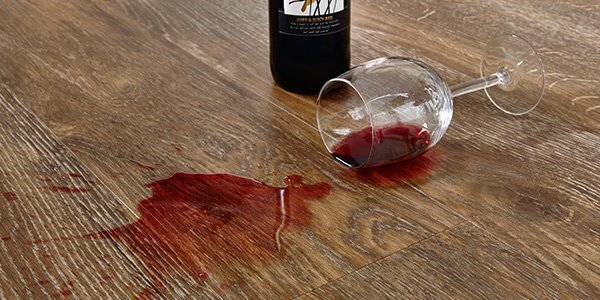 Any spillages of everyday liquids such as coffee, wine or water can be easily cleaned up with a pH neutral cleaner to help keep your floor looking its best. Unlike porous natural wood floors and ceramic tiles, Karndean floors are resistant to staining, nor do they have any dirt or grime traps. It’s the small details applied to the design of Karndean LVT flooring that helps defend against damage, let’s you live your life without constantly cleaning and keeps your floor looking great for many years to come. Showing: Karndean Knight Tile Pale Limed Oak we installed to a family kitchen in Sale. As Karndean Gold Retailers, not only do we have a full display of Karndean design LVT flooring at each of our showrooms in Bowdon, Knutsford and Timperley, but we also offer an excellent, high-quality standard of Karndean flooring installation. Having over eight years’ experience supplying and installing Karndean floors makes us one of the best for knowledge, choice and a professional final finish. Contact us for your free Karndean flooring survey and quotation today.